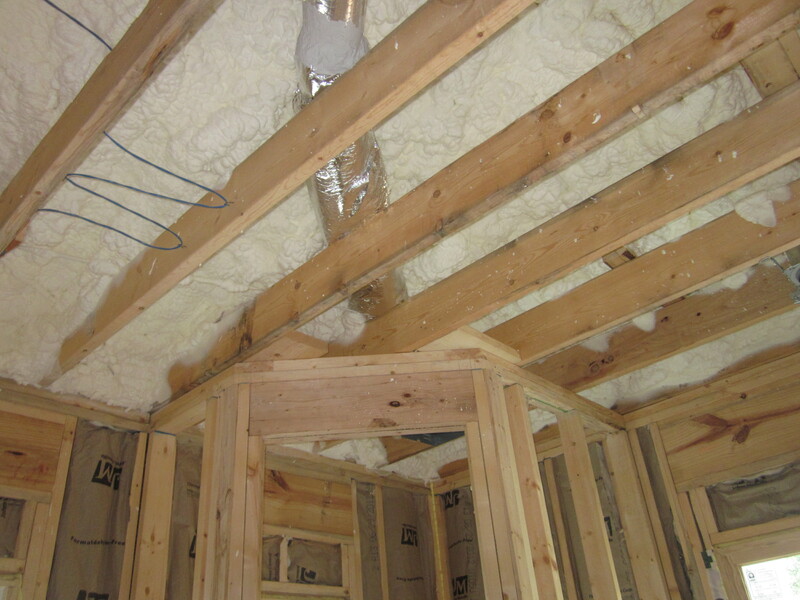 Is Spray Foam Insulation Worth the Expense? So our GC asked me the other day if I had any further thoughts regarding the type of insulation for our house. Originally we were planning on having Spray Foam Insulation however this was unfortunately one of the sacrifices that had to be made and replaced with a much cheaper solution when we decided to move forward with our project. It pains me as it seems as if all of the more energy-efficient, “green”, selections are getting replaced by more traditional and initially cost-effective options. However due to Mike Holmes as well as numerous articles I’ve basically fallen in love with spray foam and all of its attributes and it’s hard for me to let go. I realize that the winters in Atlanta aren’t near as brutal as those to the north however I still find myself trying to justify the added expense or better yet, trying to find areas where we can reduce other costs. Yes, I’m starting to believe that I’ve had a taste of the Kool-Aid or at least smelled it and now I want some. So far we’ve done a decent job at trimming our expenses, however this was a forced necessity and now I find myself acting like our government. We need to trim more of the expenses to be able to complete our task however now I want to spend that “savings” and further increase our overall cost of the project. Well I’m not completely like our government – at least I’m not going to our neighbors and mandating that they pay for these additional expenses to subsidize out project. 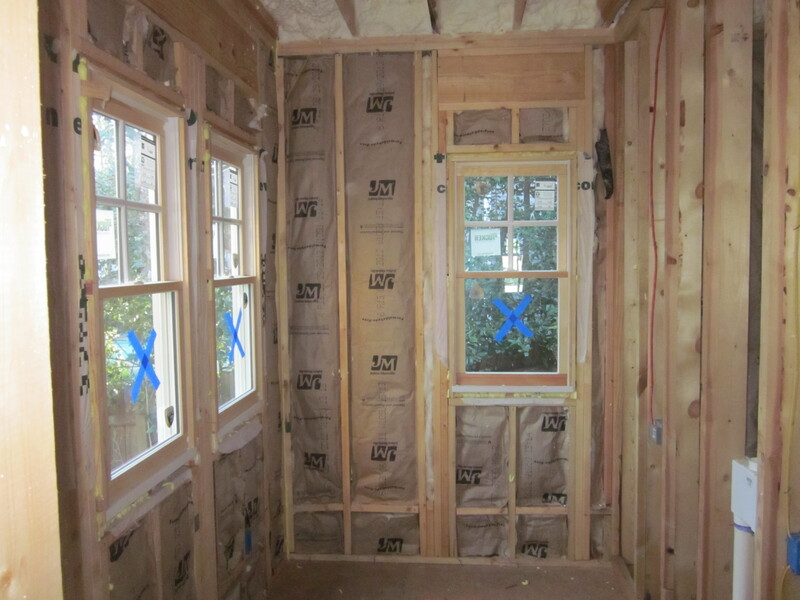 Now if you’ve read any of my prior posts you know that I can be a little hard-headed or stubborn, however the inside of our house is completely exposed, down to the studs, and if we’re going to do it – now is the time. 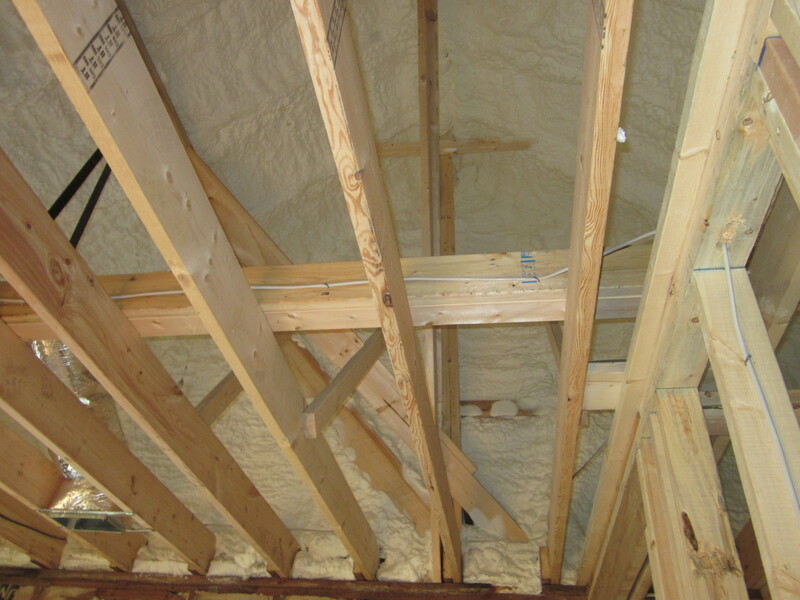 Blown–Cellulose Insulation – Cheaper alternative of the three, can be done as a DIY project. Make up of product is generally material which has been recycled. 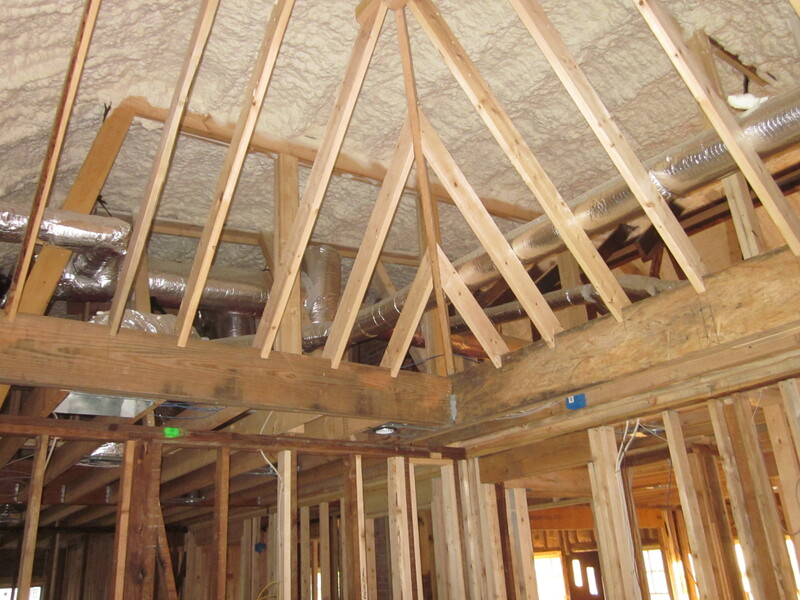 Rolled- Fiberglass Insulation – Commonly thought of as the Pink Stuff, has traditionally been known as a high-quality insulator. Since our GC is contracting this out, I’m not going to focus on the ease of installation from a DIYr’s perspective, although I’ve read that spray foam is best left to the professionals as it’s more challenging to install when compared to the others. I have only considered research conducted within the Atlanta area and it’s possible the results can differ by region. 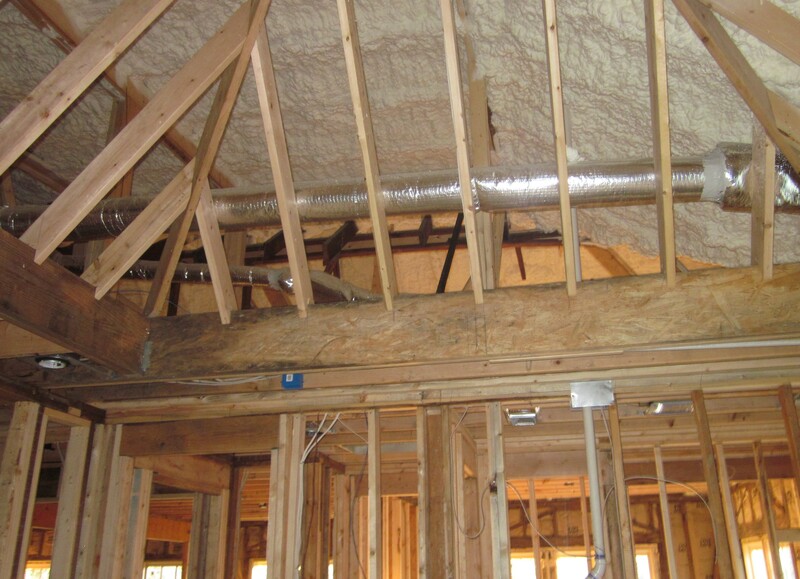 Yes, I read about the various environmental concerns of spray foam insulation, however after reading numerous reports and articles I have decided not to address or take into account due to the simple fact that I find both sides highly debatable. Now that all of the disclaimers are out-of-the-way it is probably best to know that I’ve rated the following with 3 being the best and 1 being the least desirable. So there you have it, of course the more expensive option is more superior, but is it worth it? I’ve heard the arguments about the return on your investment through savings achieved by a reduction in energy costs but I still wonder if that is really the case and there’s a big difference in that return being within 3 years versus 7, 10 or 15 years. I’ve also looked into various rebates offered by state and local governments as well as one of our utility providers however those still do little to offset the initial costs associated with Spray Foam being that it’s almost double the expense. Is Spray Foam superior to the others? My thinking is yes, without a question. While there is no such thing as a perfect product it seems through research that it is a better insulator than the other two options. 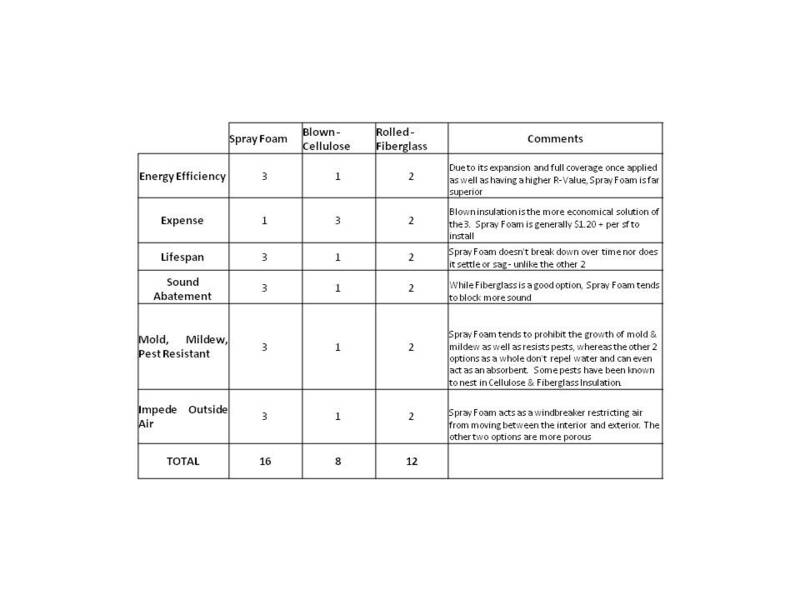 That’s not to say that Cellulose or Fiberglass Insulation don’t perform well or have their own positive attributes but by comparison from research and word of mouth they don’t seem to match Spray Foam. So what does that mean for our project? As I mentioned earlier we’re unfortunately having to eliminate a great deal of the “energy-efficient” options from our project. It’s disappointing but my Velux Sun Tunnels are looking as if they will remain on the elimination list. This decision wasn’t easily made and it wasn’t due to the quality of the product, however we’ve been forced to trim our budget and it was hard to justify the added expense. So does Spray Foam remain in its seat alongside the Sun Tunnels? Not sure just yet. I’m infatuated, possibly in love, with it, however I’m trying to prepare myself that it might just be that we have to settle for the pretty pink stuff just because of the added expense. Would love to hear your experiences with the three options. 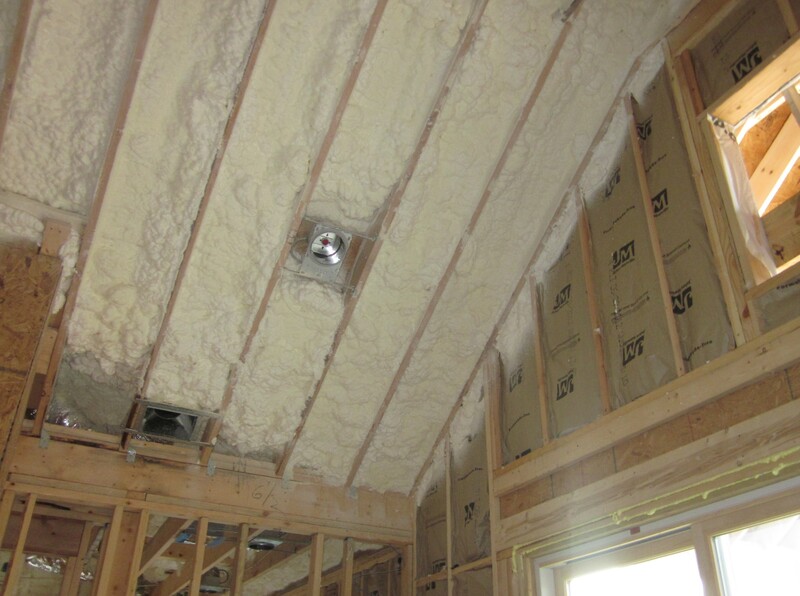 Tags: Cellulose Insulation, cost of spray foam, DIY, Do it yourself, HGTV, insulation, Mike Holmes, remodeling, Renovation, Spray foam, Velux | Permalink.